Home / News & Events / CAST Welcome Back! Please see full biographies of the panelists below. View the event flyer. 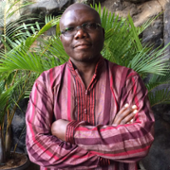 Babu is a storyteller, artist, teacher, facilitator, researcher, and writer with over two decades of experience in the design, implementation and evaluation of peacebuilding processes and programs in different parts of the world. He has taught short courses in arts-based approaches to peace work at peacebuilding institutes in Africa, Asia, the Pacific, and North America. Some of his publications include: co-authoring When You Are the Peacebuilder (published by United States Institute of Peace, 2001); “Arts Approaches to Peace: Playing Our Way to Transcendence” published in Barry Hart (ed) Peacebuilding in Traumatized Societies (University of America Press, Inc., 2008); Mpatanishi: A Handbook for Community Based Mediators (published in 2010 by PeaceNet); and, In Search of Healers (published by the Coalition of Peace in Africa in 2011). Babu holds a B.Ed from Kenyatta University, Nairobi, Kenya, and MA in Conflict Transformation from Eastern Mennonite University, USA. In September 2017 he successfully defended his doctoral thesis titled, “Arts, Peacebuilding and Decolonization: A Comparative Study of Parihaka, Mindanao and Nairobi" at the University of Otago (Aotearoa/New Zealand). Ellada has studied in Cyprus and the United States (BA in English, MFA in Dramaturgy, PhD in Theatre Studies / Cultural Studies). She has worked as an educator, dramaturge, theatre director, workshop facilitator and independent consultant. She is co-founder and president of the board of Rooftop Theatre. 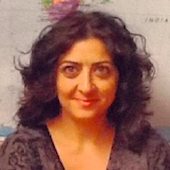 She currently teaches theatre and dramaturgy in higher education in Cyprus and the USA. Ellada is interested in the intersection of aRtivism and scholarship in post-colonial, post-conflict communities. In daily cooperation with caring and cared-for children, animals, and families of belonging, Mary Ann researches and teaches in Hobart at the University of Tasmania. 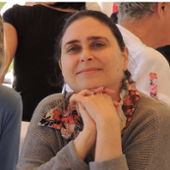 She works mainly in the fields of arts education, applied philosophy, and peacebuilding with current interests in the role of curiosity and presence in educational and applied arts encounters. 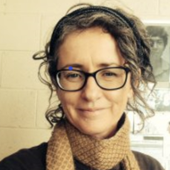 Alongside national and international consultancy work in mentoring, evaluation, arts-based peacebuilding, and curriculum design, Mary Ann is the recipient of numerous teaching and research awards and was start-up coordinator for Curious Schools and the Aboriginal community-led arts mentoring program, meenah mienne. Recent publications Education, Arts and Sustainability: Emerging Practice for a Changing World (Springer) and Education and the Arts (Oxford University Press) as well as contributions to anthologies, Playing with Possibility, Philosophy and the Arts in Education, and Acting Together: Performance and the Creative Transformation of Conflict. Shahid Nadeem is Pakistan’s leading playwright and Executive Director of Ajoka Theatre. He is well-known for his life-long commitment to human rights and peace. Issues addressed in his plays include peace, tolerance, gender and human rights. Has organized several peace theatre festivals in India and Pakistan. Oxford University Press published a selection of English translations of his in 2008. Several collections of his plays have been published in Pakistan and India. His play “Dara” was produced by National Theatre, London in 2015. His Telefilm “An Act of Terror” was nominated for Scottish BAFTA in 2009. Shahid was Getty Institute’s International Scholar/International Pen Visiting International Writer in Los Angeles in 2001 and Reagan-Fascell Democracy Fellow at the National Endowment for Democracy Washington. He received Otto Award for Political Theatre on behalf of his theatre group in May 2012 at a ceremony held at the Castillo Theatre, New York. 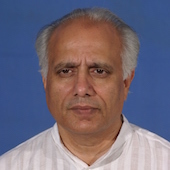 Shahid has been associated with Amnesty International, first as a prisoner of conscience and later as Campaign Coordinator at its International Secretariat in London. He was awarded President of Pakistan’s Award for Pride of Performance (Arts) in 2009. He is currently Professor of Film and TV program at the Institute of Art and Culture, Lahore. Shahid was born in Sopore, Kashmir. He studied at Govt College Lahore and Punjab University where he did his Masters in Applied Psychology. Lee a research fellow at the Tami Steinmetz Center for Peace Research, Tel Aviv University, where he published his new peace-building performance study, “But Abu Ibrahim, We’re Family!” (2017). The study is a series of case studies, describing collaborations of Jewish and Palestinian professional theater artists in Israel, creating theater about their realities. Read an interview with Lee about the book. Lee is a contributing author to the anthology Acting Together: Performance and the Creative Transformation of Conflict (New Village Press, 2011), and wrote “Arab-Jewish Youth Encounters: Impact over Time”, (Arab Youth in Israel: Caught between Prospects and Risk, Tel Aviv University, the Konrad Adenauer Program for Jewish-Arab Cooperation, 2008). Lee is Board Chair of RECAST, Inc. (Reimagining Art, Conflict and Social Transformation); Chair, artistic committee of the International Spotlight on Israeli Drama Festival; and Chair, board of directors, of the Daniel Centers for Progressive Judaism, Tel Aviv-Jaffa. In 2013, Ha'aretz named Perlman as one of "The 100 Most Influential People in Israeli Culture." 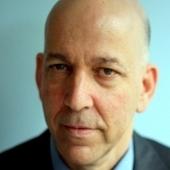 He has previously served as executive director of the America-Israel Cultural Foundation and as director of grants and programs of the Abraham Fund Initiatives, an organization promoting shared society and equality.